I’ve met some remarkable people from China in recent weeks as they have been visiting the Los Angeles LGBT Center and want to share with you the stories I’ve written for our Vanguard Blog that have come out of that visit. The first is on China AIDS Walk which raised nearly $50,000 on September 23 and second is my interview with Ah Qiang, the remarkable executive director of PFLAG China. I was deeply moved during my interview with Ah Qiang whose work is driven by the sad fact that he did not get the chance to come out to his mother before she died. “Unfortunately in 2006, my mother got very sick and died before I could come out to her,” Ah Qiang said during a recent visit to the Los Angeles LGBT Center with other PFLAG leaders and volunteers. “I feel so bad. My mother was my dearest person so I would never be myself with her. Of course I know a lot of Chinese people just like me. They did not come out and told a lot of lies to their parents. 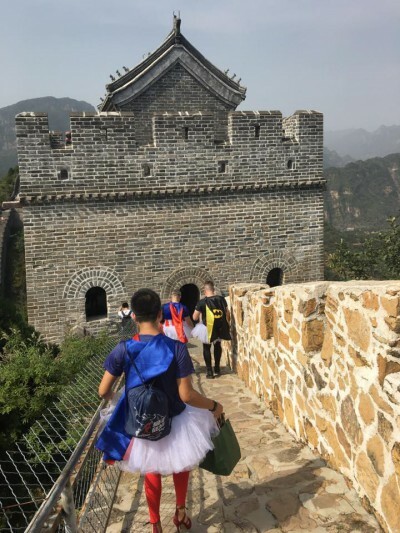 What these two stories have in common is how LGBT people were inspired to take action in China after they participated in AIDS/LifeCycle, the seven-day bike ride produced by the Los Angeles LGBT Center and San Francisco AIDS Foundation.